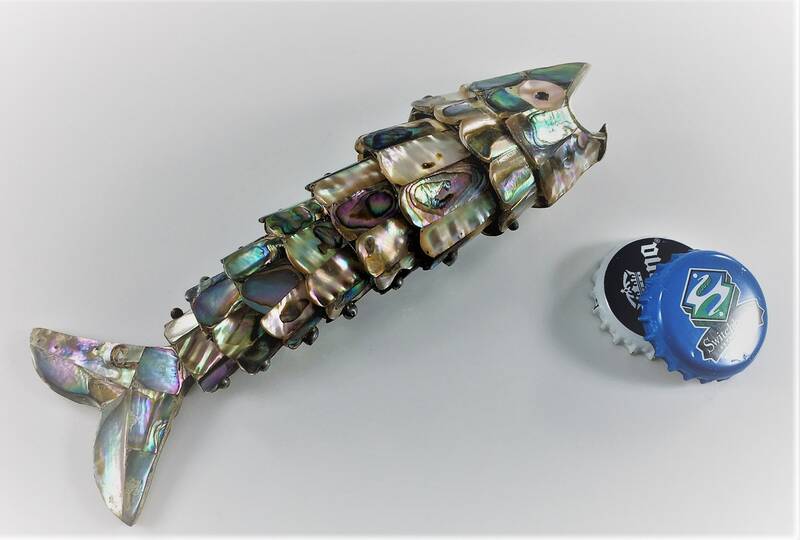 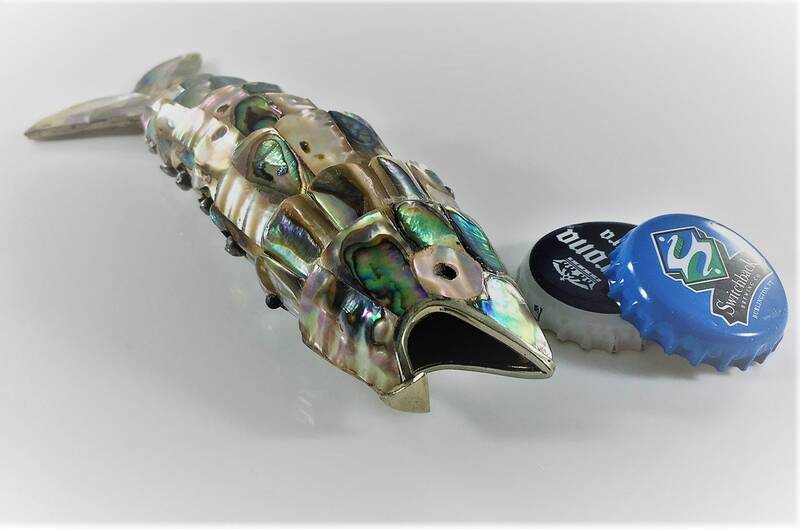 Featured is a vintage bottle opener with a metal, articulated body, abalone scales, and inlaid mother of pearl eyes. 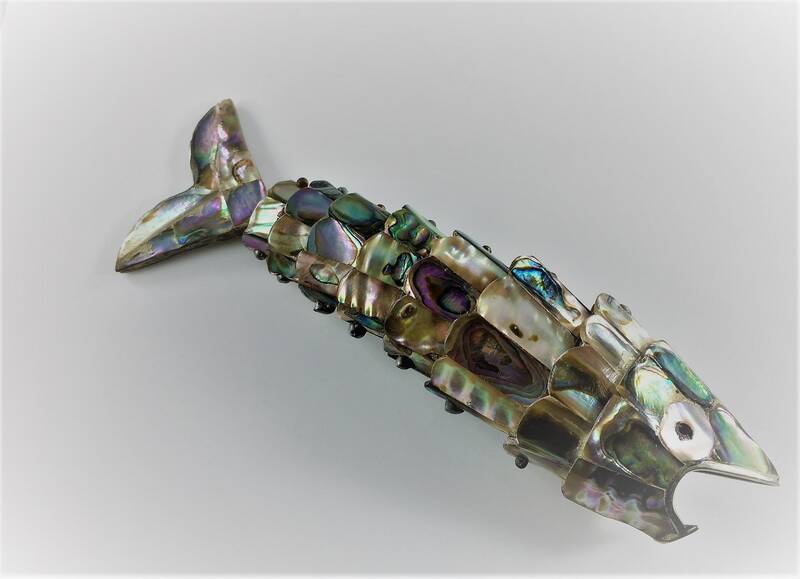 The fish is in great condition and without chips or missing abalone. 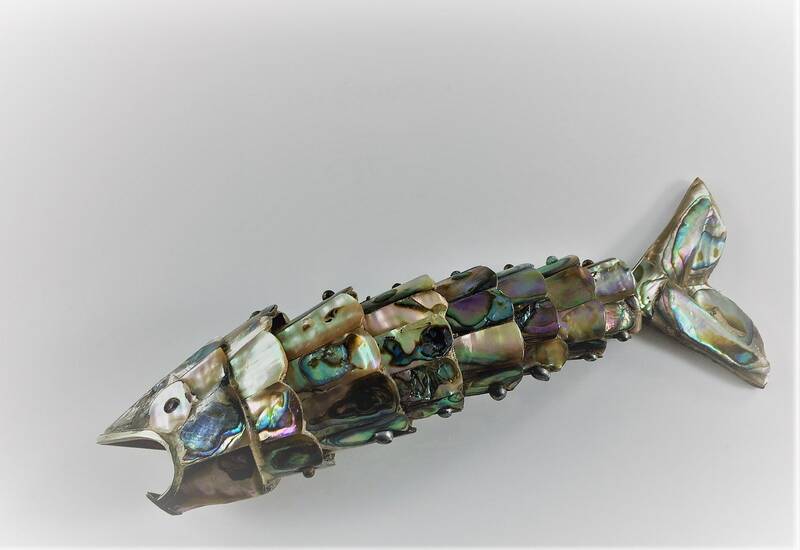 This beautiful piece was handmade in Mexico and measures about 5 1/2 inches long. 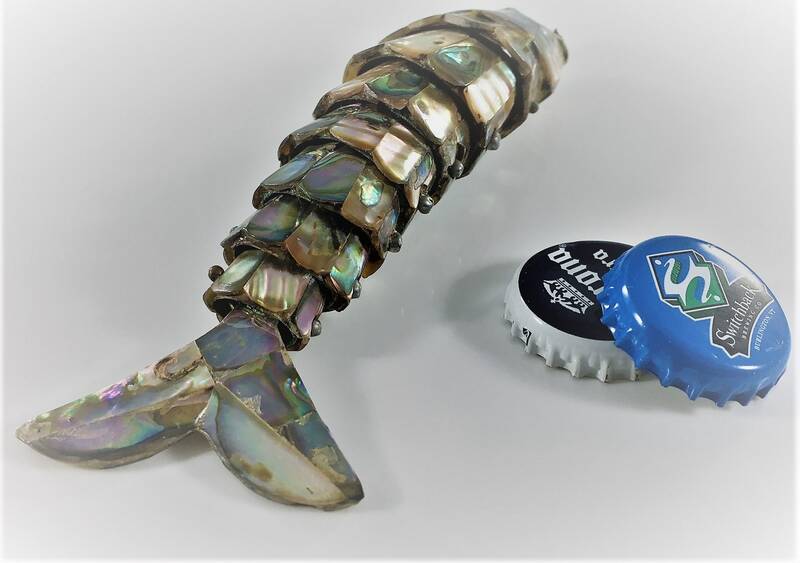 A wonderful conversation piece and addition to your home bar.